When you’re in the mood for a flavorful dish that’ll leave you full and satisfied, you can’t go wrong with our shrimp and chorizo taquitos. When it comes to Mexican shrimp recipes, it really doesn’t get any yummier (or easier) than this one. Read on to find out everything you need to know about preparing and serving up this dish tonight. You’ll also need a few sautee pans for cooking and mixing the ingredients. Got all the ingredients you need? Great! Time to get started in prepping this dish. It’s quicker and easier than you probably think, making this an ideal dish for a busy weeknight or even a relaxing weekend day. Start by heating your chipotle butter in a sautee pan until it’s melted. Then, add the chorizo and brown it evenly until it’s entirely cooked through. Drain the grease from the chorizo and add the shrimp, flipping and cooking until pink in color and done. Next, add the tomatillo salsa mix all the ingredients together thoroughly before moving to a shallow pan and allowing to cool to about 40 degrees. This will give the flavors a chance to marry together before moving onto the next step. Once it’s cooled down, add the Jack cheese to the top of the mixture and allow it to melt. Then, in a clean sautee pan, add a little bit of olive oil and brown both sides of each tortilla, being careful not to burn them. The tortillas should be warmed just enough to make them soft and pliable. 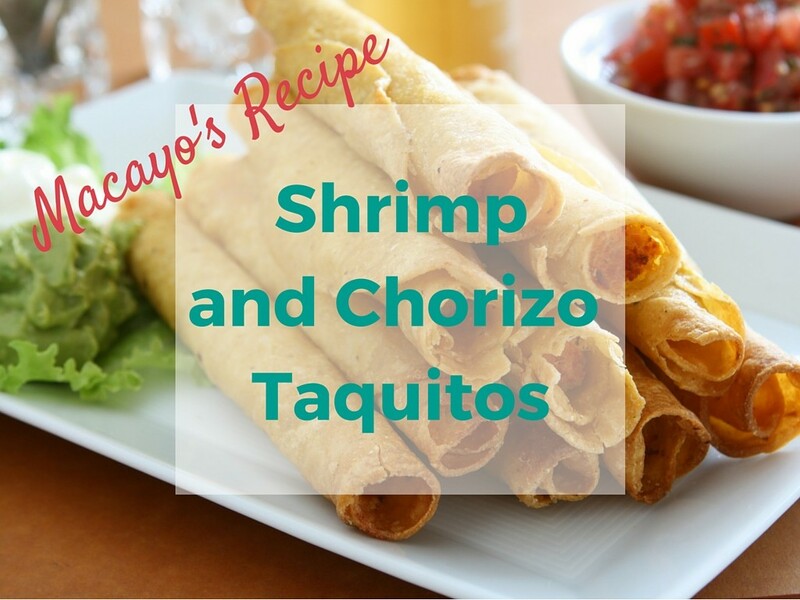 Set the browned tortillas onto a clean, dry surface before placing about an ounce of the chorizo and shrimp mixture onto each tortilla and rolling them into individual taquitos. Serving these ingredients on the side will allow your guests to customize their own taquitos to suit their unique tastes. Plus, plating your dish in this way will make it look like your meal was cooked by a professional chef! Trust us on this one. As you can see, whipping up a batch of 18 delicious shrimp and chorizo tacos is a lot easier and quicker than you may think. The next time you’re in the mood for some bold and flavorful Mexican food, be sure to give this recipe a try. It’s sure to become one of your new household favorites!